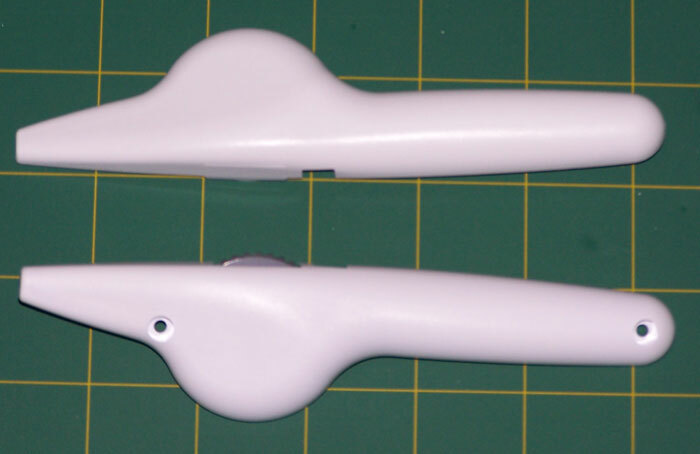 The plastic prototype was a medical disposable Laparoscopic surgery component. The lead-time was on the 11th hour. Hit the ground running is what our core business is all about. 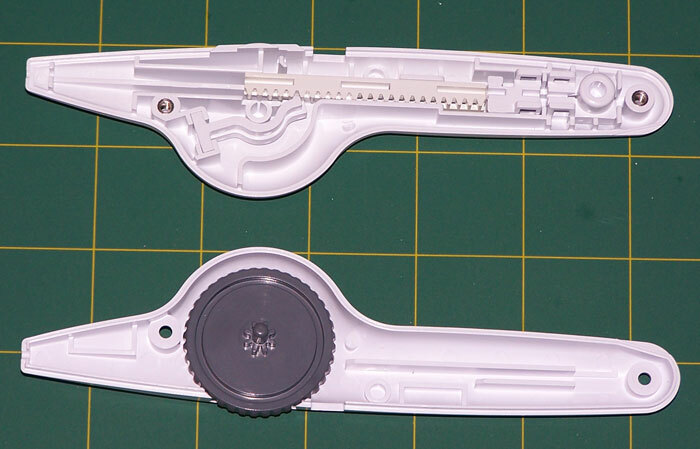 This particular design and budget didn’t allow for traditional plastic injection molding, yet rapid prototyping methods while fast were a bit too limiting. Our IPP™ Concept to Parts method is a perfect blend of both worlds of rapid prototyping and traditional tooling. The customer was understandably nervous, even though she found us through a colleague reference… Short lead-time, multiple parts with different issues, new supplier… not exactly a project destined for coming together on time. In the current climate, she must have not only had her resume updated, but lit a few candles hoping we wouldn’t let her down. She sent her files in and we got her quote back the same afternoon. We committed to getting her medical disposable Laparoscopic surgery prototype project of 8 parts back within 3 weeks. The body of the medical device was made out of medical grade white ABS. 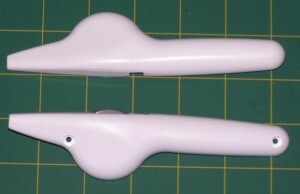 This plastic prototype also required a satin finish for aesthetic purposes. Sleek, yet enough tooth to the texture to imply a firm confident grip during the procedure. Phoenix Proto’s engineers assisted on the product design. One of our concerns is not only the perfect prototype reflecting the integrity of the design, but the future of the design. Production is so often not thought of in prototype design. In this case we helped tweak the medical design on draft, radius and fillet to ensure a smooth even resin fill. Draft, Radius and Fillet’s all are highly important in molding a plastic prototype successfully. Especially a disposable medical prototype that has features that require tight tolerances of +/- .0002 up to +/- .001. There were 6 internal parts. We recommended that they be out of medical grade Polycarbonate and medical grade Delrin. Why different materials? When you have plastic parts rubbing against each other, it is often best that they be made out of a different material to reduce friction and wear. The interior parts are all based upon gears. If they do not run smooth and cleanly, the surgical operation does not run smooth. Not something a practitioner wants to find out during a procedure. 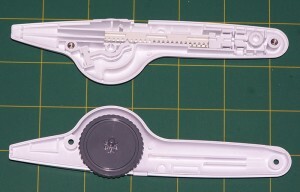 The plastic disposable device was to be held together with screws. The inner screw holes were heat staked with brass inserts for the threads. Not only does heat staked brass inserts provide extra strength to the plastic part. We managed to add aesthetic value to the product through an often-overlooked sense: touch. The plastic part was designed with a smooth texture along with superior gripability. However; added weight gives a substantial feel to the part during use, which just adds to the practitioners’ confidence in the procedure. We met the customer’s deadline much to her relief. Our IPP™ method produced 10,000 plastic parts off the prototype. The product made it through clinical trials and hit the market to become a success.